We are trying to eat a little healthier so this week's Sunday Supper recipe is for a simple vegetable dip we'll eat during the Super Bowl. I've never made it before and it's not exactly 'healthy' but.... At least there will be vegetables involved. I am SO excited! I found fake Uggs on clearance at Target yesterday. And they had my size! And I had my choice of black or brown! I chose black because they look less Ugg-y. Can't say that I'm a huge Ugg fan, but I am a fan of how warm they are. And now my feet are toasty warm and feeling joyful. I used to love my Uggs for their comfort and warmth but I gifted mine to Daughter when she wore hers out. She had gifted them to me in the first place so it all seemed to work out. I can only find one of my Uggs! Thanks for reminding me I need to find the other one! 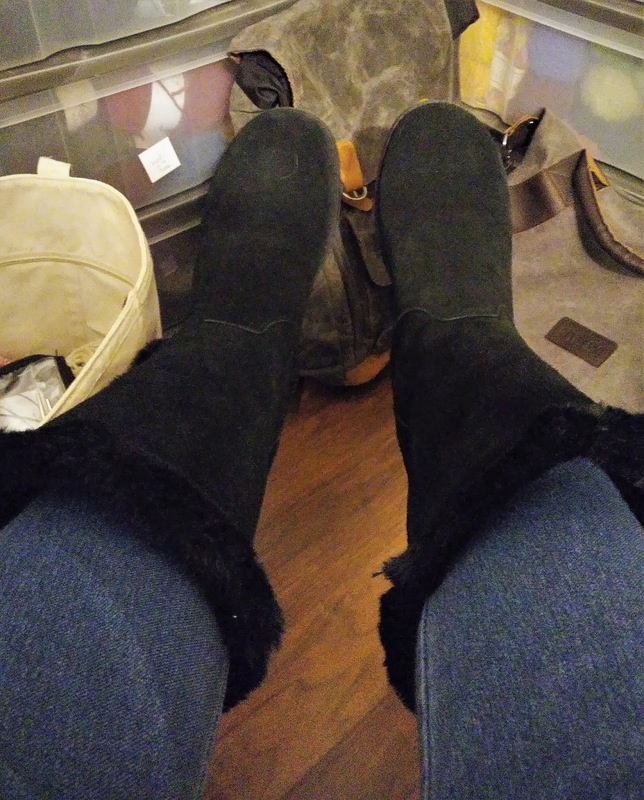 I have fake UGGs from Lands End - got them on clearance a few years ago. So warm - I love them.